Giving Light – Kelsey H.
Hi! I’m Kelsey. I’m a dietitian by day and baker by night. I love to create and photograph food, read books I can’t put down, sing whenever I can and do pretty much anything outside. I’m currently living in Okinawa, Japan with my husband and fun-loving dog. Here are the five things I find beautiful right now and always. Enjoy! The beauty of this island that I live on never ceases to amaze me. For those of you who need to brush up on your geography, Okinawa sits about 1,000 miles south of mainland Japan and is, therefore, very tropical. On the outside, Okinawa is beautiful because of the numerous white sand beaches overlooking turquoise waters, surrounded by colorful coral reefs with all kinds of tropical fish. The sunsets are phenomenal (as are the sunrises, when I’m awake to see them) and we frequently see rainbows arching across the sky. On the inside, Okinawa is beautiful because of the culture. Okinawa has a rich history with many traditions and holidays, the locals are always so helpful, accommodating and polite and the food is absolutely phenomenal too. We have enjoyed learning and experiencing this beautiful island and will truly miss it when we can no longer call it home. Food is beautiful to me. As a dietitian, it is beautiful because it provides vital nutrients to our bodies. As a chef and baker, it is beautiful because of all the dishes I can create with it. As a food blogger, it is beautiful because of all of the ways it can be described. As a food photographer, it is beautiful because of the many colors, focal points and textures it provides. As a lover of food, it is beautiful because it is exciting, comforting, memorable and, most of all, delicious! I’ve been friends for over 10 years with all of these beautiful ladies! Out of everything on this list, I think friendships are the most beautiful thing. They fill my life with laughter, adventure and love. Even though location, age or just life in general can change, friendships always remain constant. I love that I can pick right back up with my high school and college friends, even though we only see each other one or two times a year. I cherish the friends that I have here in Okinawa because they have become my family, when all of our families are just so far away. Most importantly, I know that any one of my friends, both old and new, would run to my side if I ever needed them, and that, to me, is the most beautiful part of it all. I was listening to Christmas music the other night and I found myself not cooking, like I should have been doing, but standing still and listening to the music. I realized that music is beautiful to me because of the way the harmonies blend and fit together so perfectly. It took me back to all of the music performances I had ever been a part of and the beauty I heard and felt whenever we finally accomplished those harmonized moments. It also made me realize how beautifully music fills in the quiet parts of my day. Whether it’s listening to an upbeat song during a workout or Christmas songs to put me in the holiday spirit, the words, songs and harmonies always lighten my mood. Without music, my life would be a quiet, and less happy, place! I have to admit, I don’t always love running. Sometimes it’s boring, a lot of times something in my body hurts and, almost always, my crazy dog is trying to pull me forward or slow me down. So why do I think it’s beautiful? Running is beautiful because it gives me a chance to be outside, which means, while we are living here at least, I get to look at and listen to the ocean. It clears my mind. It makes me realize how powerful my body is and how hard I can push myself. It’s my dog’s favorite thing to do (if only I could snap a picture of his face as we start running) and wears him out, if only just for a little while. Plus, going for a run means I can eat more Christmas cookies! I cried a little tonight. We are working on joining accounts and it made me emotional to know a part of that independence in my life has ended. Or something like that. This joining does not bother my spouse at all. Bother, perhaps, is a strong word. It doesn’t particularly bother me, it just makes me emotional. What bothers me is the big VOID in my old id that seems to be sending a more patriarchal message that my original identity and maiden name are gone, only to be consumed by marriage. I know this is not how my spouse and I approach marriage, and that those four letters do not reflect our attitudes towards life partnership. That VOID stamp, though, that bothers me. I had lunch with a friend this week and she was joking around saying that after her wedding next summer she is going to joke, “Oh, I can vote now. I’m married.” You have to understand her and you have to understand me and be able to look back at the absurdity of institutions and how we exist inside of them, and how we can laugh within them. It is a balance isn’t it? Or maybe I’m just sensitive. This week was full of unanticipated delights. I love delightful things. Sunday evening we headed to Denver in the pm for a concert. The weekend was restful, the Broncos were playing (they won by the way), I would have been content being an introvert and staying home. I’m glad I was coaxed out of my comfort zone and we got to listen to a wonderful musician, Noah Gundersen. I do not feel I can adequately explain or critique him in words. This man and his band communicate with such passion and in a way that is unassuming and challenging all at the same time. I want to have coffee with him, to pick his brain about religion, family, and his outlook on the world. I’ve never left a concert feeling calm and content the way I did on Sunday evening. He has a gift and he chooses to share it, and I wish him the best of luck in doing so. Here is a video of my favorite of his songs. Music has an ability to evoke such an intense spectrum of emotion. In two hours, Noah seemed to capture them all. Check him out, buy a cd, drink some red wine. Combine the three for a fabulous few hours. He has so much beauty to offer. Remember my post Heart Balm from a few months ago? I mentioned Marcel the Shell and my ridiculous obsession with a cartoon shell that warms my heart over and over. Well, guess what? She is back! Marcel the Shell has her third installment and does not disappoint. Take a moment, get in touch with your inner child, and giggle at this delightful success story of mistake turned wonderful. Thank you Jenny Slate and Dean Fleischer-Camp for bringing such an enchanting character. What was enchanting to you this week? What can music do for you? You know how people say, “College was the best years of my life!”? When I was in college, I hated when people told me that. College, for me, were some of the roughest four years of my life. 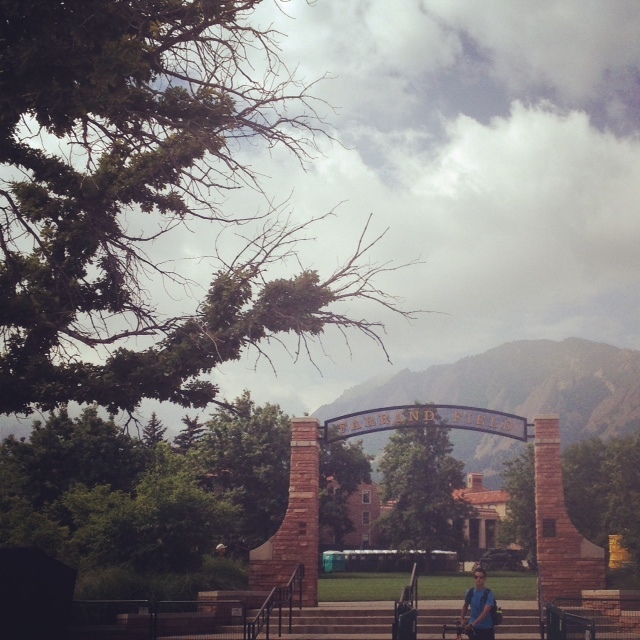 Academia was a breeze and I was thrilled to learn about social dynamics, structures, and inequalities. Socially, however, those years were full of personal growth, individuation, and emotional development that was difficult to process through. I quite often felt alone, and isolated, and frustrated that I wasn’t having the best time of my whole life. I didn’t like to drink those feelings away either. However, this weekend, we went back to my old alma matter because we had a few things to take care of in town. I instantly turned into a full blown nostalgia machine. Dylan and I walked around like those obnoxious adults pointing out buildings that had changed, developments that had morphed structures into plazas, and laughed about memories that took place back when our biggest financial stress was textbooks. I was filled with Buffalo pride – embarrassingly so! It became so clear to me how people can block out the bad, and choose to remember the good, enjoyable, and funny moments that shaped you. I am so pleased with myself, to see too, how just a few years later I have changed as an individual. I think I’ve grown more confident, more sure of myself in a world that seems big. It is a beautiful thing, to return to a place, and to see that perhaps, you’ve out grown the you who you once were when walking those paths and crossing under the stone walkways. We also got to go to Boulder’s iconic Pearl Street Mall and walk around enjoying the Colorado blue sky in the bustle of people on a Saturday morning. The walking mall is typically full of people displaying their talents, and asking for money. I ran into an interesting gentleman playing a really neat drum called a hang. 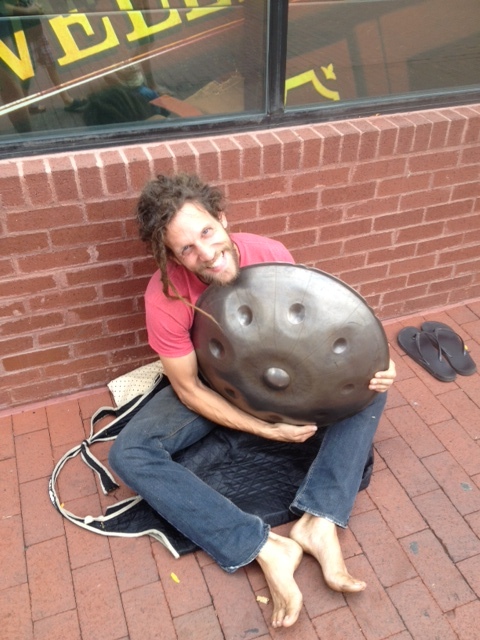 Stereotypically, he screams of Boulder – bare foot and with dreads in his hair. After a conversation, he became so much more than a visual stereotype. Along the way, Dylan and I stopped to talk to this kind man about his instrument. I loved so many parts of our interaction. Before he played the drum for us, Ryan explained to us that he does his best to match the rhythm of the music to the pace of people’s feet as they walk by. He intentionally tried to connect to the people around him in a way of perceiving others and giving back their energy in musical form. His first little beat was slow, and steady, and indicative of a Saturday morning stroll. The second melody he played, however, he described as what was going on in his head. It was fast, and staccato, and his hands moved around the smooth surface in a tizzy. Isn’t it amazing how we can choose which energy to engage in? We thanked him for playing, and walked in the other direction. After we got a block away I couldn’t help but think that his intentional choice to observe others, absorb their energy, and reflect back in peaceful ways of musical talent was a marvelous practice. We turned around so I could ask him his name and if I could write about him here. Look above – his face is full of pure joy. So thank you, Ryan Post, for giving me something to think about on Saturday. Thank you for sharing a brief glimpse of who you are with us, and for choosing to be intentional in the energy you put out into the universe. How can you be more intentional with your choices about what you are giving to the universe? What is worth matching energy, and where do you instead take care of yourself?